38 out of 43 measures have not been completed and for 13 of these neither the status of implementation nor the expected implementation timing has been specified. Most importantly, the number of allowed cycles of “planned cooldowns” at SUNPP-1 has already been exceeded (91 cooldowns vs 90 allowed). Each cooldown results in the wearing off of crucial reactor parts, increasing the risk of cracks in the core reactor, one of few irreplaceable parts. During the SNRIU board meeting on November 28, Energoatom claimed to have finished all measures in the two months since October, but that the necessary paperwork is simply not yet finalised. Yet, verbal promises by the company cannot be the basis for SNRIU’s decision on the lifetime extension. Without being based on the results of the periodic safety review a positive decision is highly questionable. Even if all safety measures would be implemented, there is another unresolved problem. Consultations concerning the transboundary impacts of SUNPP-1, a requirement under the UN Espoo Convention, were still not held with Ukraine’s neighbouring countries. Consequently, during the SRNIU board meeting, a representative of the Espoo Implementation Committee pointed out that SRNIU’s decision could create problems for Ukraine. It wouldn’t be the first time Ukraine’s nuclear sector is in violation of the Espoo convention. In March this year, the Espoo Implementation Committee ruled (pdf) that Ukraine’s decision to extend the licenses of units 1 and 2 at the nuclear power plant in Rivne violated the UN rules since it had been done without an environmental impact assessment and without informing neighbouring countries about the plans, as Espoo procedures would require. A direct financial impact from these unresolved cases on Energoatom’s operations comes via a proposed EUR 300 million loan by EURATOM for the Ukrainian Nuclear Safety Upgrade Programme. The programme includes safety measures at several Ukrainian nuclear power plants, among them also those at the South Ukraine and Rivne power plants. Losing the EURATOM loan would be a hard blow for Energoatom and Ukraine’s nuclear ambitions generally. 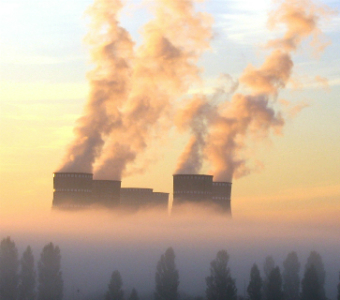 After 9 months of 2013 Energoatom had net losses of UAH 4.7 billion (EUR 0.42 billion), UAH 2 billion more than in 2012. 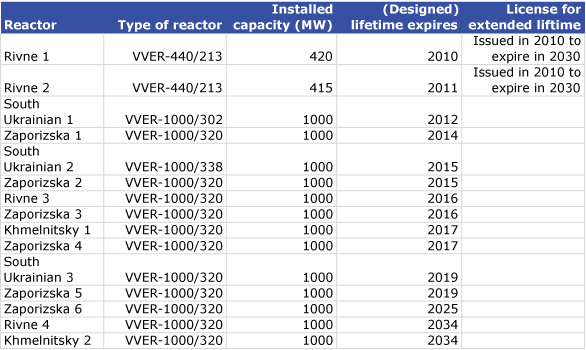 Energoatom struggles to find sufficient financing for the Nuclear Safety Upgrade Programme: the needs for 2013 are UAH 3 billion while Energotom only made UAH 517 million from the electricity tariff. Under such circumstances any financial support is crucial for Energoatom in order to finish the safety measures at SUNPP-1 and to start preparations for the still outstanding upgrades at other plants, starting with ZNPP-1 by the end of 2014. 1. These and more details can be found in a technical analysis (pdf) commissioned by NECU (National Ecological Centre of Ukraine) to assess whether the technical state of SUNPP-1 is sufficient for safe operations for ten additional years and whether the necessary safety upgrades have been fully implemented. A recent briefing (pdf) summarises the results of the analysis.